Our 2017 Rose is mostly whole-cluster pressed Grenache, cofermented with a touch of Syrah and Viognier from our Soul Patch vineyard. Beautiful, inviting aromas and flavors of wild strawberry, nectarine, and orange blossoms and the layers keep coming as the wine opens up. 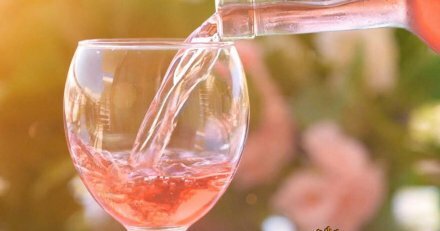 This bone-dry Rose will go great with seafood, cheese, pasta, desserts, or is outstanding sipping on its own. The perfect summer wine! 95% Grenache and the other 5% from our Estate Syrah. All the grapes are grown, harvested and made specifically to be Rose. Many/most Roses are created from juice pulled off a red wine fermenter. But not Davis; we grow these grapes to be Rose and nothing else, they are picked earlier and never crushed but rather pressed very gently. This timing and approach creates a far more natural and less manipulated Rose, which leaves more of that alluring, sensual side to the aromas and flavors. Our Rosé is aged in 100% stainless steel and fermented completely dry. It is bottled after 6 months.